Haptic Lab produce the most wonderful handmade kites, recently the New York based design studio have released two new characters into their flying animals collection. 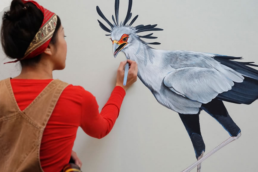 Their magical crane and whimsical swallow bird kites can either be set free to sore through the skies or displayed indoors to show off their splendour. In fact Haptic Lab founder Emily Fischer has the new swallow hanging in her babies room. Gorgeous pure simplicity and exquisite craftsmanship, check them out. 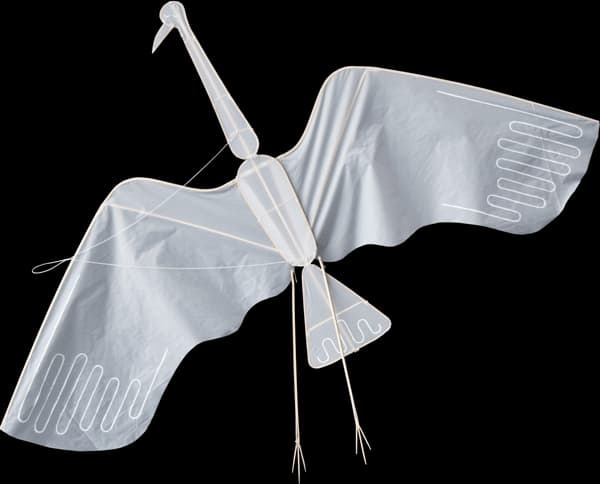 The handmade kites are part of a larger collection of flying animals that Haptic Lab will be releasing throughout the summer. 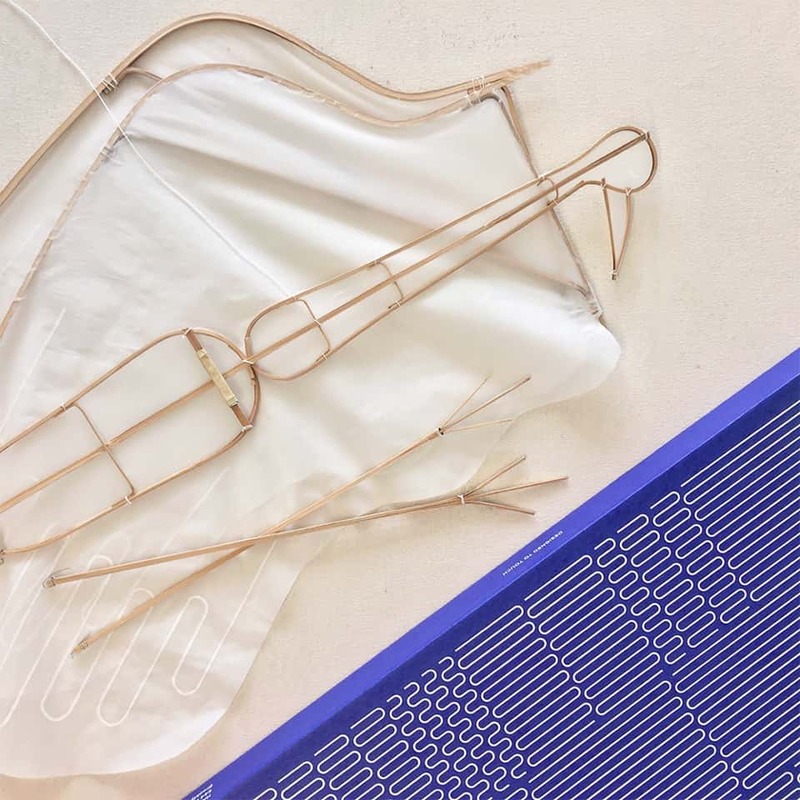 They’re made in collaboration with a traditional kite making workshop in Weifang, China. 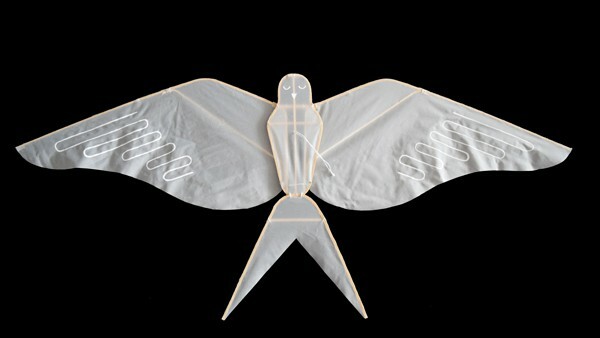 Each kite’s bamboo frame is shaped by candlelight then covered in hand-painted white terylene silk. 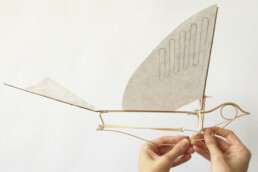 Haptic Lab is an interdisciplinary design studio founded by Brooklyn architect Emily Fischer in 2009. 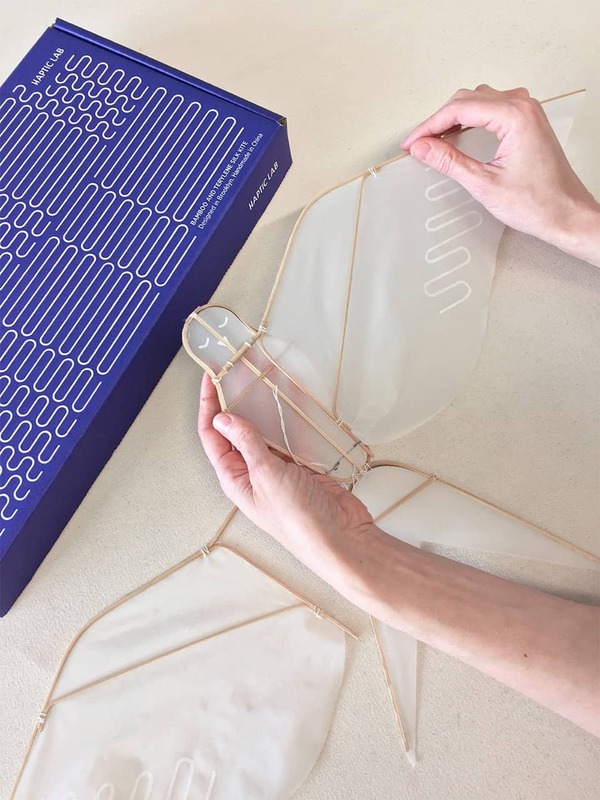 Specializing in tactile and sensory design, their custom handmade objects and spaces are designed to playfully explore the sense of touch and feel. Emily made her first quilted maps when her mother was diagnosed with glaucoma; these early projects were meant to be wayfinding tools for the visually impaired. Haptic designs counter the rapid digitization of our lives by privileging the real, physical world our bodies occupy. Like a cane that safely guides someone down the sidewalk, our projects serve as tools for sensation. We make intricate quilts, kites, furniture, and environments that combine new technologies with traditional craft techniques — infusing a sense of play and timelessness into everything we make. The Haptic Lab team comprises of a small group of craft artisans, designers and tinkerers. Drawing upon their diverse creative skill sets, they seek to change the world of producing goods to bring about transparency, simplicity, sustainability and consciousness.